added new cons due to the "hijacking" and added a misconception section to explain why people are falsely accusing SourceForge over "fake dowload buttons" and why the "hijacking" isn't hijacking. 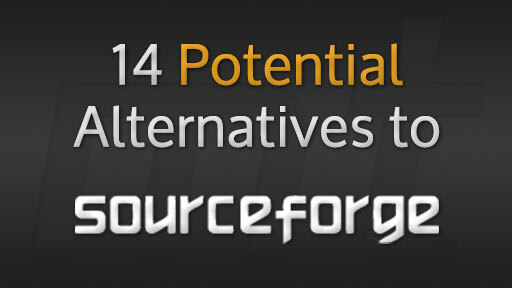 I've seen a lot of articles from people saying that I "should look for alternatives to SourceForge" for distributing binaries for my Open Source projects. These articles make really good arguments and point a very dim light on SourceForge's download practices. Many of the reasons these articles provide are very valid reasons to look for an alternative, such as SourceForge forces users to a Download Page that serves ads and have at times displayed FAKE "Download Now" buttons that are actually just ads. Another reason for finding an alternative is that SourceForge has started bundling their own installer with downloads (opt-in), this installer contains adware and tactics to trick people into installing things like irritating toolbars. In some cases the installer uses third party servers that SourceForge doesn't have control over so this could be looked at as a massive security hole. The DevShare Program is not listed as a Con in this article because there is one very big aspect to the DevShare Program that people seem to miss entirely, and that is the program is OPT-IN. SourceForge will NOT force the installer onto projects, the projects have to want it and have to voluntarily add themselves to the DevShare program so yes this can be an issue but it is more the fault of the projects themselves than SourceForge because SourceForge does not force this at all. The link I provided above explains in the last paragraph that it is Opt-In so no one should be hating on SourceForge for this because it isn't a requirement and therefore isn't a reason to not use the service. All of these articles make great points but they also all do the exact same irritating useless ending...they tell you to "find an alternative" but never actually give options or even compare the different services to find out if there are any alternatives or not. I started researching this topic about 6 months ago and now I'm writing this article to take a look at 14 potential alternatives to using SourceForge for Binary Distribution. I was able to create this list thanks to the website AlternativeTo.net as well as found a few services independently from altTo. There are a LOT of alternatives when it comes to Version Control tools and source code hosting but there actually aren't any reasonable alternatives when it comes to Binary Downloads. SourceForge is currently the champion of Binary Downloads because they dont restrict you with filesize, account storage, or anything else but they also provide the most detailed analytics for your binaries. I want as much statistical information about my project & users that I can get so it is REALLY hard for me to release my project binaries on anything other than SourceForge. 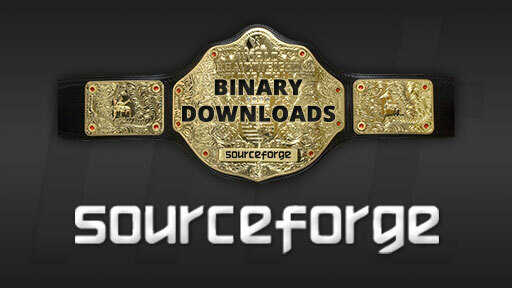 SourceForge offers both Version Control tools and Binary Downloads so they are the all in one option if someone is looking for that but the part that makes SourceForge the reigning Champion of Binary Downloads for Open Source projects is the extensively detailed statistics available for your projects that go as deep as each individual file. Ability to provide Binary Downloads for your projects. Historical Download Statistics available by Day, by Week, by Month, by Year, Custom Date Ranges, by Project Lifetime and more. Statistics organized by Operating System. Statistics organized by Country (downloader's country). "Hijacking" Accounts while this is a con, it isn't actually hijacking. I explain below in the misconceptions section. This is a Con but SourceForge is not serving these ads, Google is serving them. People should be yelling and screaming at Google for allowing these ads in their network in the first place rather than SourecForge who have no control over them. this is opt-in so technically not doing what people claim they are doing. These accounts are NOT being hijacked, the accounts were already abandoned or SourceForge made mirror accounts, not actually taking over any accounts that are currently being maintained. This is also completely "legal" in the terms of the GPL, and pretty much all copyleft licenses, as it allows people to do this as long as they don't modify the source. SourceForge wrapped the apps in an installer but didnt touch the apps so technically the GPL allows this. This is completely unacceptable and it is egregious that SourceForge did this but at no point is it "hijacking" so I am pointing out the flaws in the hyperbole rather than defending them. BinTray is the only specifically binary downloads hosting service I could find other than SourceForge so of all the potential alternatives BinTray seems to be the closest option as a replacement. Unfortunately, BinTray is excessively restricted for the amount of files you can upload and the size of the files making it completely useless to some projects. BinTray also suffers from a terrible setup Content Structure that makes it hard to figure out how to setup the projects in order to even upload files, and once you do have files uploaded you still have to figure out how to associate them as "downloads" because that is not automatic. Ability to provide Binary Downloads. 500MB Storage Limit Per Account, not per project. All of your projects combined can't exceed 500MB in filesize. Content Structure is pointlessly overly complicated, you have to create a Repository, then create a Package, and then create a Version before you can ever upload a single binary. Download Statistics are restricted to Packages and Versions, you can't get stats per file or for the entire project. Historical Statistics are not as extensive as SourceForge and don't allow as much control as SF does for viewing the stats. Content Structure forces you to create a Version for each binary you want to get statistics on otherwise you won't get information per binary. This is a VERY slow process. Does NOT provide Statistics based on Operating Systems. Once you upload a file you still have to take extra steps to publish it and to associate the file with the "Downloads" section of the website. CodePlex is a source control solution provided by Microsoft and because of it being a Microsoft product I really didn't want to give it any credit at all. However, CodePlex is fairly good and is the only other alternative that provides Historical Download Statistics so it earned a spot as #2 Contender. The statistical information provided by CodePlex is no where near as in depth and useful as SourceForge but at least they put some effort into it unlike most of the other options. Basic Download Tracking via download count per release. Limited Historical Download Tracking provided on a by week, by month, by year, or project lifetime basis. Historical data only applies to the entire project and can't be use for individual releases. Organization of the downloads is rather poor. Assembla is not an alternative because it restricts you to 1 Project per Account making it not really an option in the first place but the fact that I tried to signup and it autologged me in...but when I clicked anything it autologged me out and wouldn't allow me to login again is not a good sign. They also never sent me an email to confirm the account or anything so the registration is broken thus making me not interested in testing it any further. Bitbucket is a big name in version control hosting for open source projects and it should be because it provides a very good solution/service but unfortunately, it lacks in the Binary Downloads section. Uploading binaries to your project is just pick a file and upload...super easy. Bitbucket's Binary Download Tracking is just too basic. Bitbucket only provides a simple download count for the amount of times it has ever been downloaded, this may be enough for some people but this does not even come close to the tracking and statistics that SourceForge provides. Codebase is not an alternative because their Free Account is limited to only 1 Project and 50MB file storage, so testing ended there. There doesn't seem to be a way to even register to this site so obviously not an alternative. 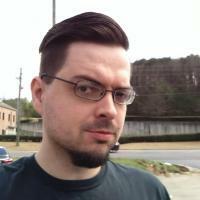 GitHub is a fantastic solution for source code hosting and for version control using Git but unfortunately GitHub deprecated their Binary Downloads service in December, 2012 and while they did create a Releases system to replace it they are not even remotely close in features so it makes GitHub no longer a practical alternative. Allows for binaries to be uploaded by the developer as "Releases". Creating "Releases" is fairly simple and straight-forward process. Does NOT provide any download tracking or statistics at all for Releases on the website. Releases API - this is both a pro & a con because they do offer a basic download count via this API but they offer it only through this API so you have to utilize an API for basic information that other services provide with no effort. GitLab is a great project allowing you to host your own Git Version Control system for your private code on your own servers. They don't offer binary downloads via GitLab but they don't need to because if you are going to be hosting it yourself there are already plenty of great options for this. This article is for Free Services based around Open Source Software projects so GitLab is not applicable. Gitorious is not an alternative for Binary Downloads because it doesn't offer any binary downloads, it only offers "master branch" downloads. Launchpad offers binary downloads via PPAs but these downloads are basically only useful if your project relates to Ubuntu in someway. Launchpad is not really meant to be an alternative in SourceForge in the general sense, it is more of a Version Control System for projects related specifically to Ubuntu packages so it is not applicable to this article. ProjectLocker is not an alternative because their Free Account is limited to only 1 Project and 50MB file storage, so testing ended there. Ubirimi claims to offer Free Accounts to users of Open Source projects but when you try to create an account they insist on collecting credit card information which doesn't sit well with me so my testing for this service ended before could really even begin. Unfuddle is not an alternative because it does not offer free accounts to Open Source projects, so testing ended there. I know not everyone cares about the statistical information but I think it is a very important aspect of providing binary downloads so that is why SourceForge is still the reigning champion of the space. If you don't care about stats and can deal with the filesize restrictions of the other options then feel free to use anything else, such as BinTray, BitBucket, Codeplex, or Github, but if you do want the statistical data and the unlimited storage then there really is only one choice. What do you think of my assessment and the results of this roundup? Please, let me know in the comments below.